Happy First Birthday + a Giveaway! Today is our girl’s first birthday! It’s hard to believe it’s already been a year since we welcomed her into our lives. During her first year, we referred to her as Baby Girl, but she’s not really a baby anymore! And it was getting kind of annoying. So we’ll be calling her Sally from here on out — which is her name! On Saturday, we had some family over to celebrate Sally’s big day! And per the law of first birthdays, we also let Sally go at it with a slice of cake. At first, she was pretty dainty, and then she let loose! 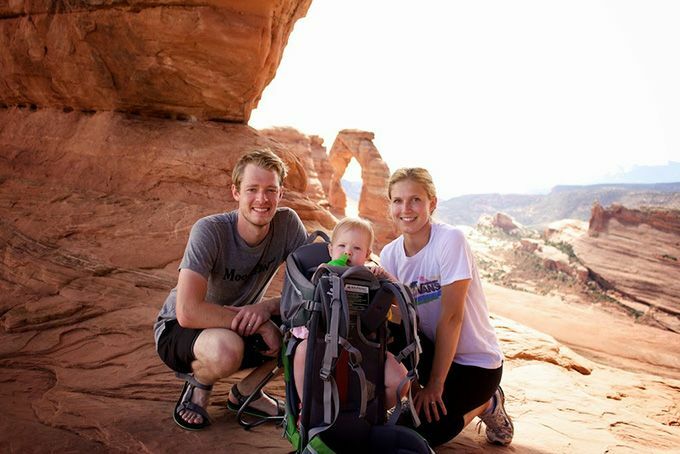 We wanted to celebrate her big day with all of you by doing a Freshly Picked baby/toddler moccasin giveaway! Freshly Picked gifted us a pair of these moccasins, and they’ve been on Sally’s feet almost every day since! I’ve had my eye on these since the day she was born. They’re pretty freaking adorable, durable enough for OFB baby #2 – #10 (hah!.. right) to wear, and super easy to slip on (and stay on) her feet. And we love that they’re a local business that handcrafts each and every pair right in our own backyard. So we’re so excited that one of our readers will get a pair! For a chance to win, please enter below. The giveaway is for US residents only, and it closes Sunday at midnight ET. And if you’re the lucky winner, you’ll get to choose whatever size and color suits your (baby’s) fancy! Yes Sally, and a very Happy One Years Old Birthday from me as well. I’m happy that your mommy has decided to finally formally introduce your name to us here in blog land – despite the fact that awhile back your daddy “accidentally” let slip out your name in one of his comments which later your mommy, I suppose, carefully edited it out! Sally says thanks for the birthday wishes! Yes, Johnny did let her name slip! And I think you’re just about the only person who caught it at the time. You don’t miss a beat! Your girl is adorable! Looks like she enjoyed the cake and knew when to take a water break Happy Birthday to Sally! Haha, yep, she loves her water! Thanks, Tabitha! Thanks, Carleigh! When she was born, it just seemed to fit her perfectly! Happy Birthday Sally! The shoes are adorable. Would love them for our 9 month old. Thanks, Catie! Good luck with the contest! Happy Birthday! I would like a piece of cake now, please. Happy Birthday Miss Sally!!! I don’t have any littles but I would love the grown up version of these shoes. They look super comf. Thanks, Miranda! I know, right?! I’d buy a pair in a heartbeat if they made them for adults! Such a cute name for such a cute little girl! I have always wondered what her name was. What a fitting name for an adorable little one. Thanks, Meghan! It’s nice to finally share it! Typing “Baby Girl” was getting pretty old :). Great giveaway love to win this one. Beautiful moccasins! I’d love to win a pair! Such cute pictures! 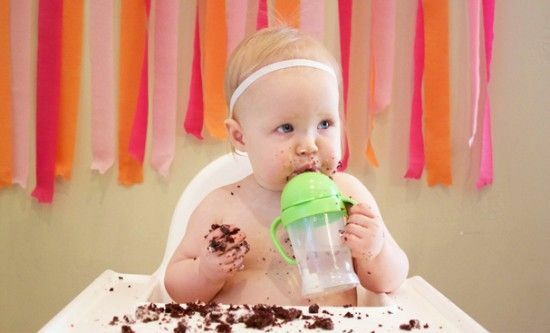 1st birthdays are the bestCongrats on one year of parenting…it is such an accomplishment!! 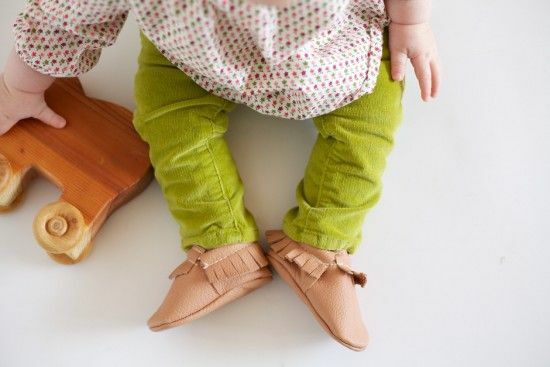 Those moccasins are too adorable. We found out baby 2 is a girl as well yesterday and I would love to win those moccasins for her to have a little something of her own! Thanks, Halsy! I do feel quite proud to have made it through the first year. You give a lot that first year, but it’s all worth it! And congrats on baby girl 2!! How fun!! I’m sure your two girls will be the best of friends. Good luck in the contest! You made it! 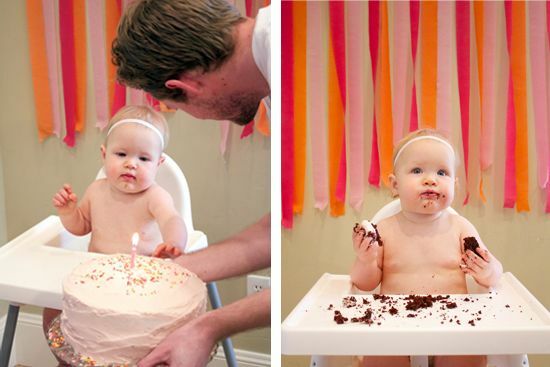 A baby’s first birthday is as much for parents as the kiddos (or maybe more). 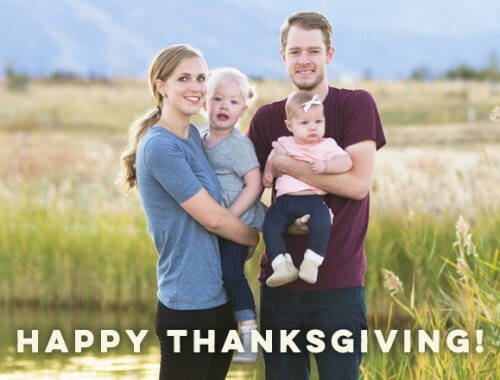 Congrats to your whole family! You’re so right, Julie! 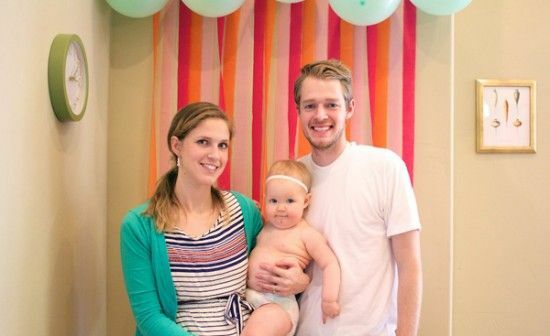 Sally couldn’t have cared less, but I was set on having the perfect first birthday for her. It was really fun to celebrate! 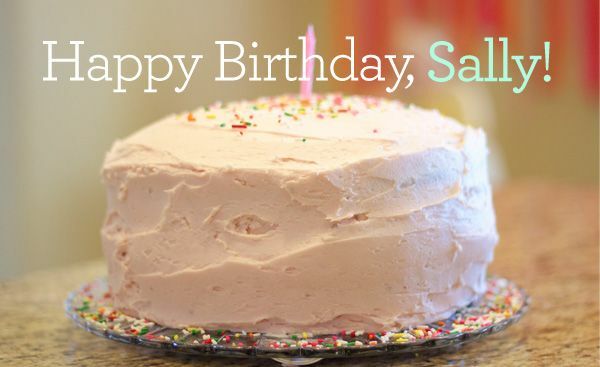 Happy birthday, Sally! I remember when Johnny let the name slip a few months ago She is too adorable. It’s crazy how much she’s grown. 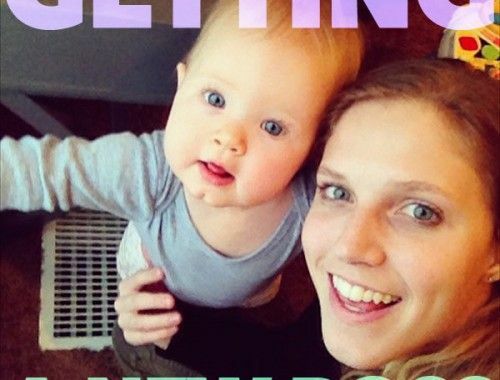 When I started reading the blog, she was a wee four months old. Ahhh how time flies. Thanks, Jess! I can’t believe it either. Part of me is excited to see what each new month brings, but the other part is sad to see her growing up so fast!! Those turquoise blue suede mocs are calling to me. Adorable. Thanks for the giveaway. Happy birthday to your little one! These moccs are to-die-for CUTE!